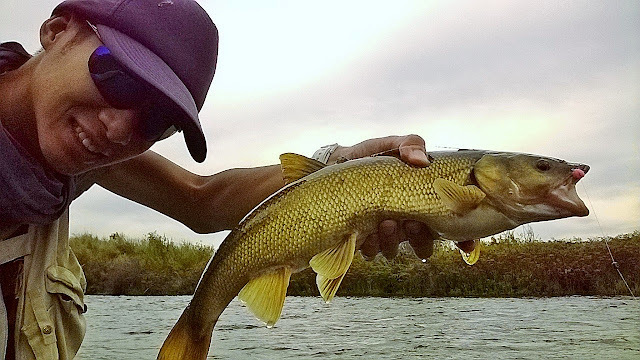 There is an odd transition time between seasons that makes fishing a bit unpredictable. Now is that time when windy fronts begin to turn over the water allowing the fish that have survived this hot summer to become comfortable again. I am hoping for rain and a successful steelhead season this fall. I can't wait. With some spring-run steelhead still in the system I took more time to chase them this week. I managed to land several fish and a steelhead before leaving, the majority being small native trout on caddis pupa and midges. It was Friday so a few more anglers were out trying their luck. I was the first though and the early bird gets the fish. The salmon are there and with salmon come steelhead but the ratio is probably really low right now. 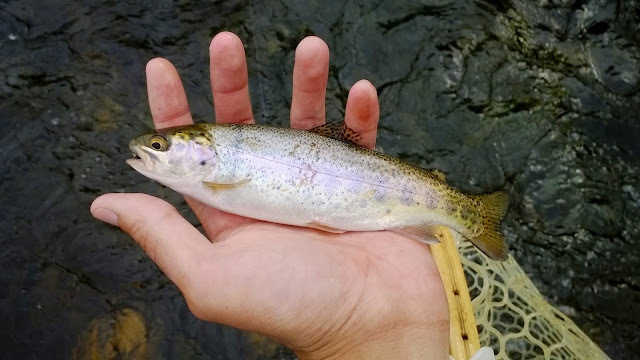 I fished an egg pattern in a run hoping to hook into a steelhead that migrated with the salmon but instead I got a surprise. Once I saw that yellow tail come up I thought "Probably a sucker or a pikeminnow." To my surprise it was a hardhead, or yellow steelhead in this case.